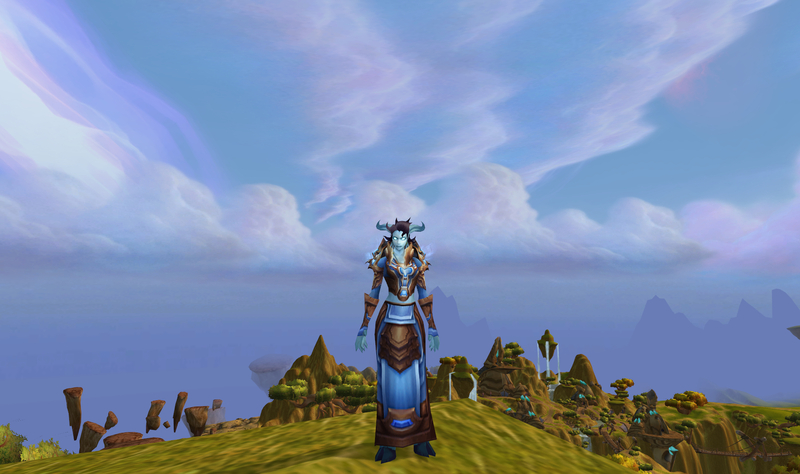 Here I have compiled a multitude of screenshots, art, and references for my mage. My artist for one of the years (Ginny!) 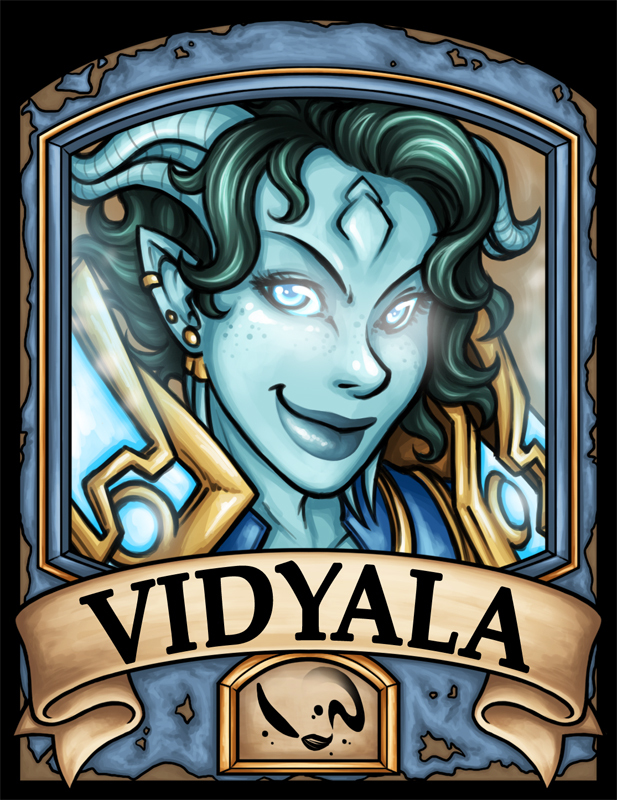 did an awesome image of Millya wearing the Khadgar’s gear shown above. Millya is a clothes horse (no hoof jokes). 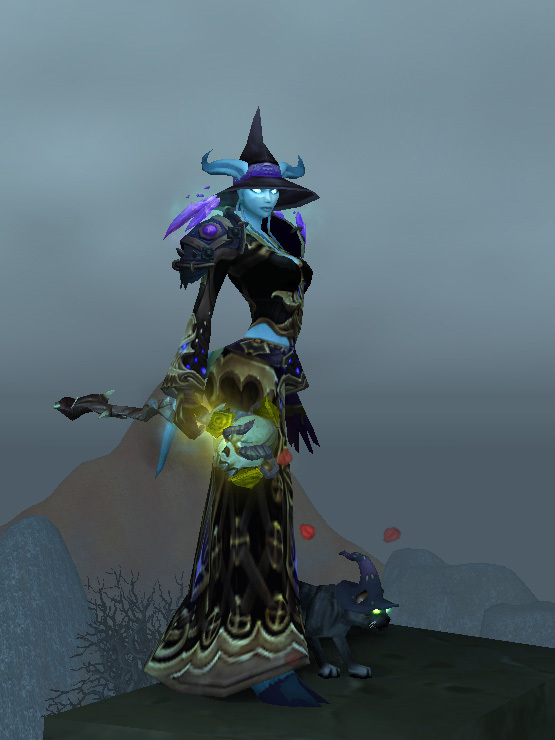 She made a spell just so she could expand her closet. 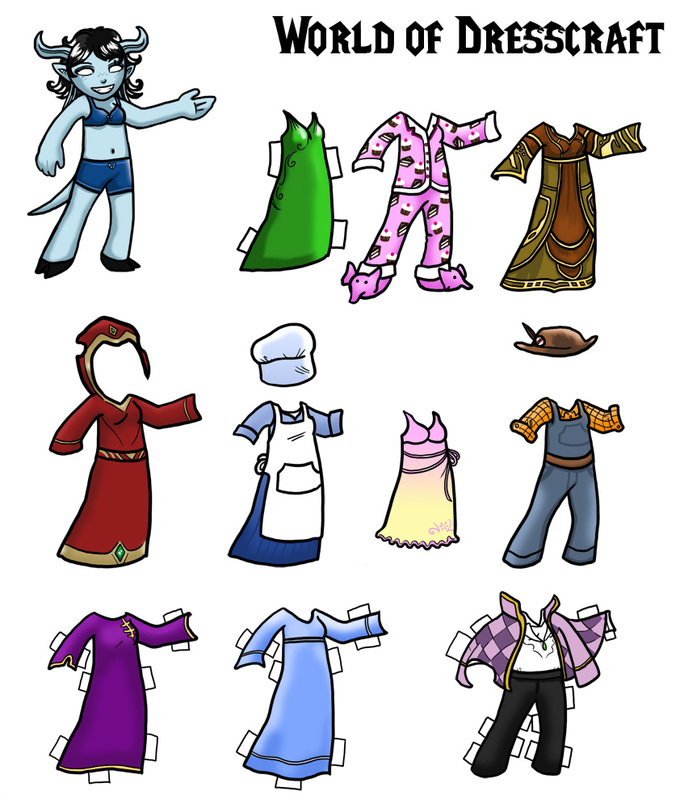 In-game she aims to collect every dress/robe that exists. In-character she is pretty fashion-conscious and a bit vain. 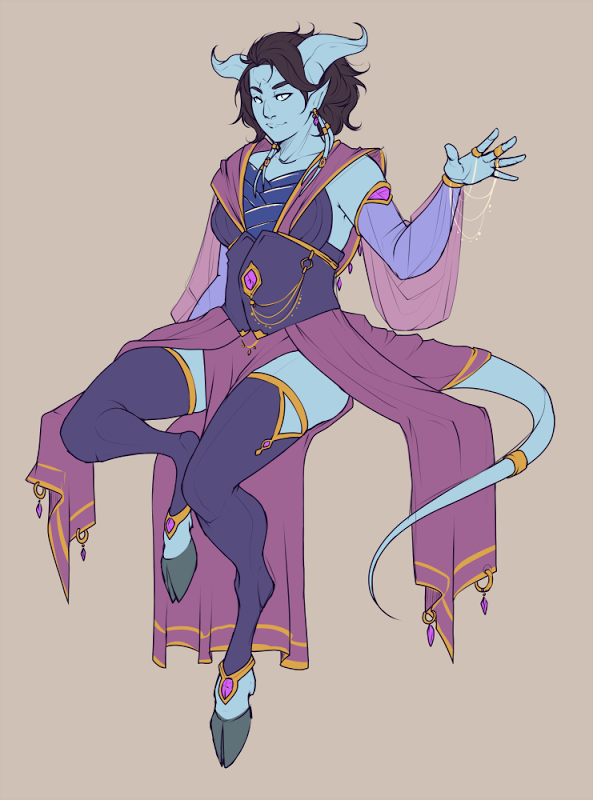 You can dress her in absolutely anything, so long as it’s a dress/robe (she only wears anything else for fishing, and that’s a matter of practicality). 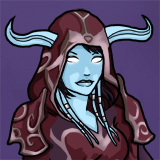 Millya was a refugee from the town of Farahlon (located in what is now Netherstorm). 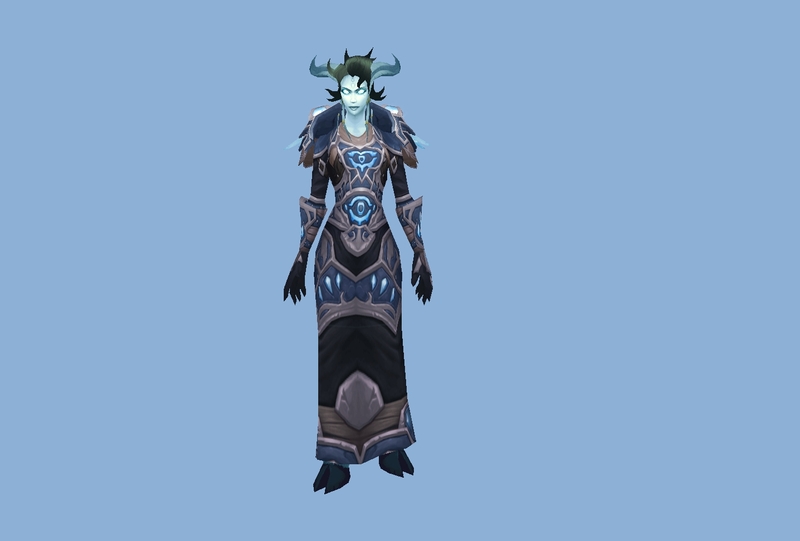 She and her father relocated to Shattrath but were among those who evacuated before its destruction. While they were there, she learned to sew in order to keep them and the other refugees clothed. 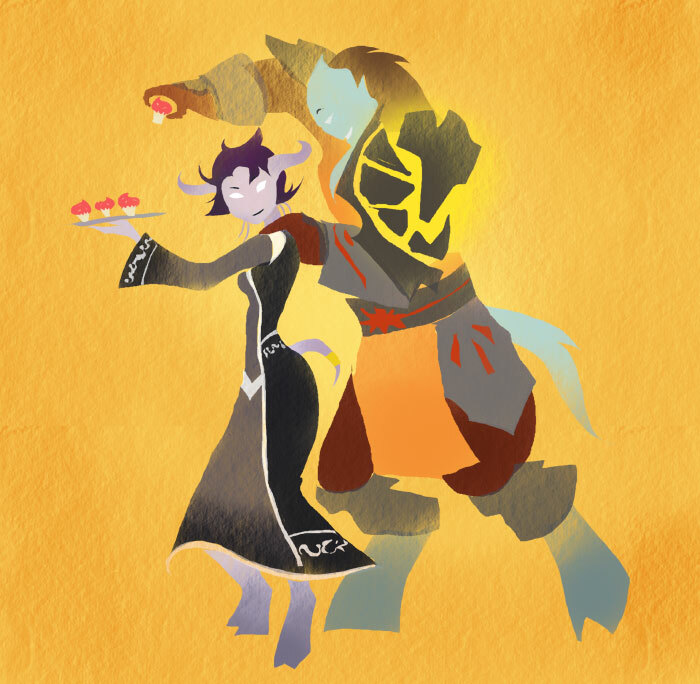 Her father was a skilled jewelcrafter and artisan and she learned the trade from him. 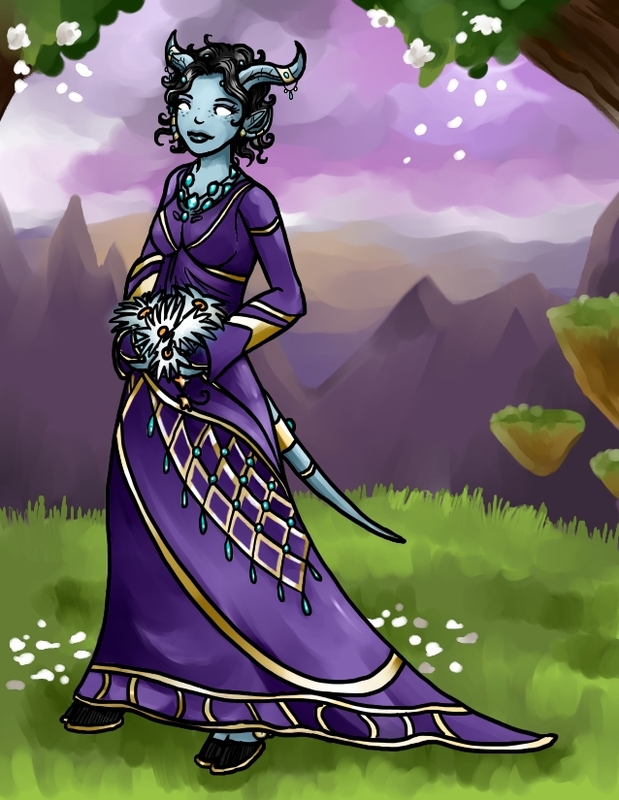 She likes elaborate jewelry and fine craftsmanship and is known to change her jewelery often. 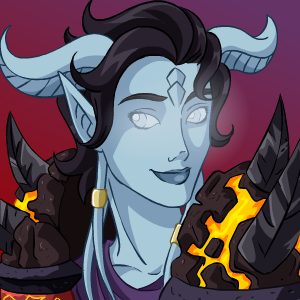 I imagine that jewelery is very significant to many draenei, serving both a decorative and symbolic function, and so jewelcrafting is a very respected calling. 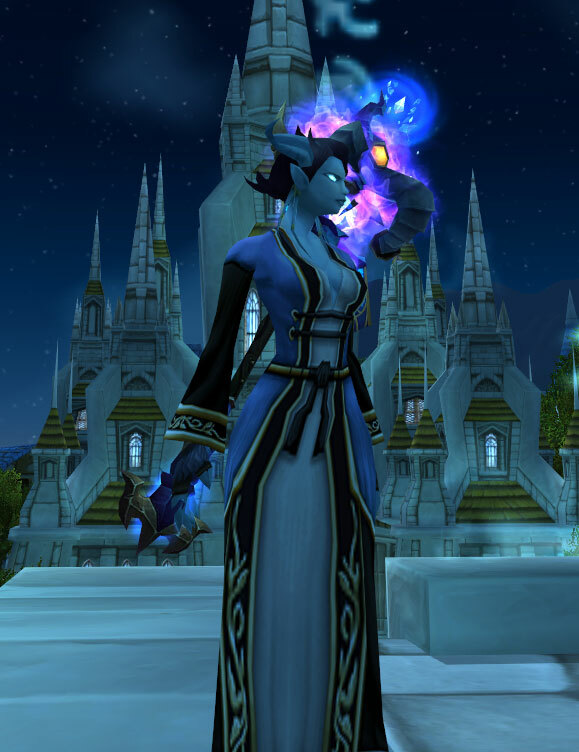 When Millya first came to Azeroth she used to wear all of the jewelery she owned from that time (to jarring effect) primarily because it was the most practical way to have it on her person. 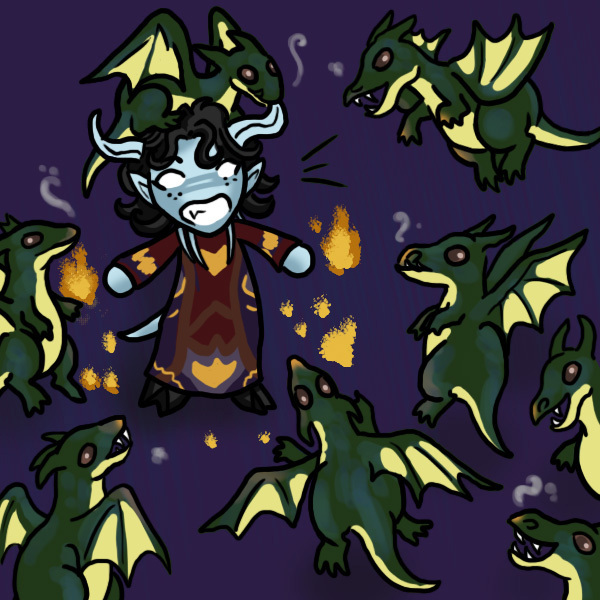 Since learning the Common tongue and adapting to Azerothian ways, she no longer finds this necessary. 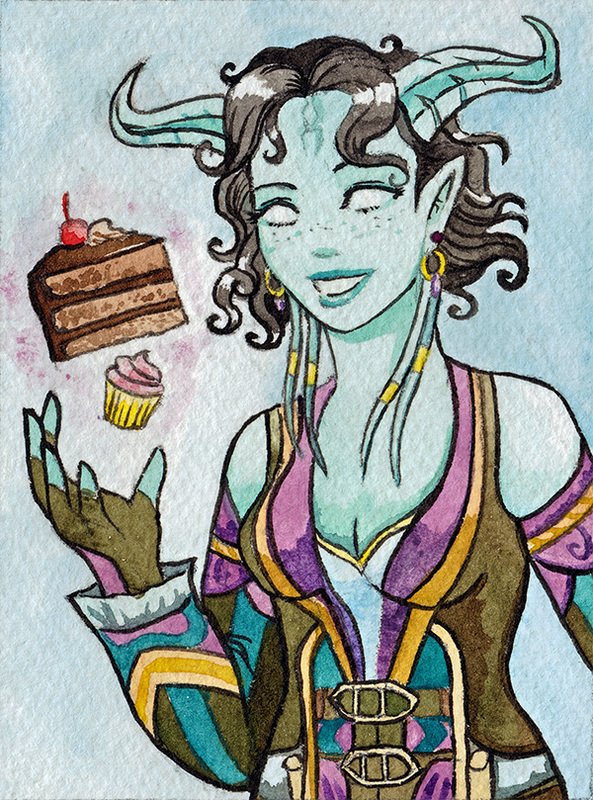 Hardship and lean times have made her appreciate the finer things in life, and she took to living in Dalaran like a fish to water. 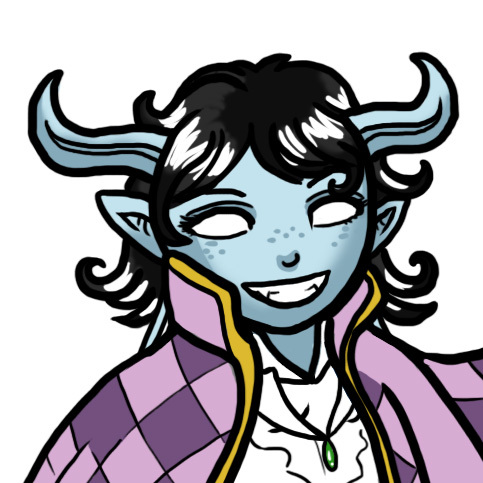 She had been a student of the arcane among her people and since improved her skills over the years. 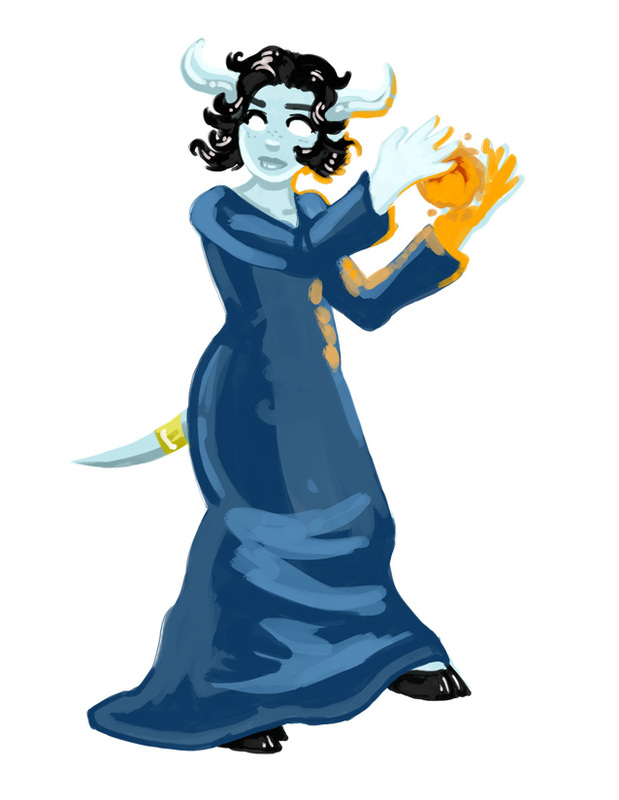 She loves the magical city and conferring with scholars and mages of other races and disciplines to maximize her mastery of magic and its uses. 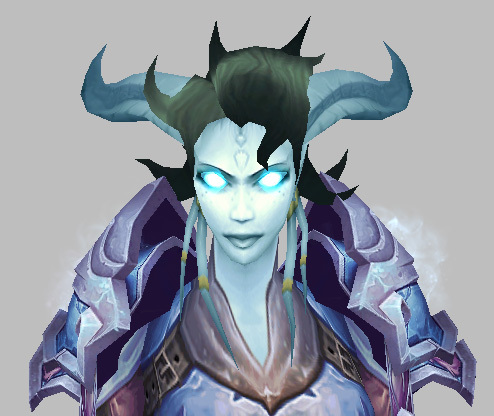 Although she is not particularly martial (she can take orders, but prefers to set her own pace) she was involved in the campaign in Northrend in a number of capacities, both research and more directly. 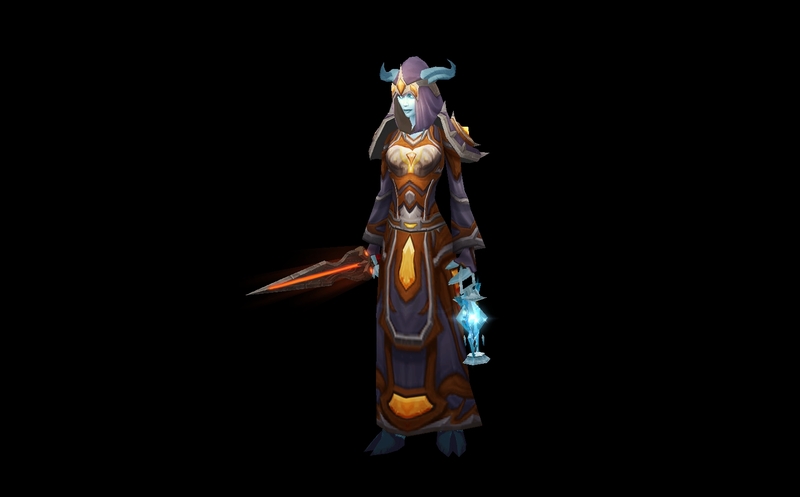 She is not Azeroth’s finest battle mage, but is able to harness some fairly significant destructive magic when the need arises. 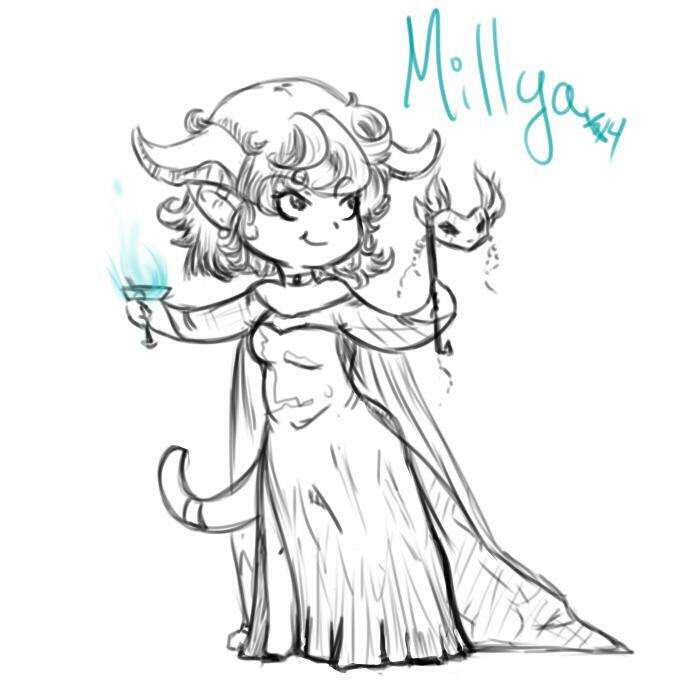 Millya likes researching things, being right, logic, baking and conjuring baked goods as a stress-reliever (she gives most of it away), tea, gems/jewelcrafting, and lighting things on fire; not necessarily in that order. 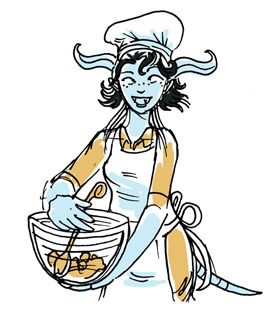 She’s happy to get her hands dirty – but only metaphorically (that’s what gloves are for). She has a wry sense of humour, an exceeding sense of social propriety, and freckles (more than are visible in screenshots). Sometimes reclusive in personality, she is a thoughtful introvert with flashes of extroversion – she gets cantankerous when she spends too much time alone with her books. Sometimes she thinks better with some background noise, and has been known to spend time in various cafes with massive tomes spread out over an entire table. 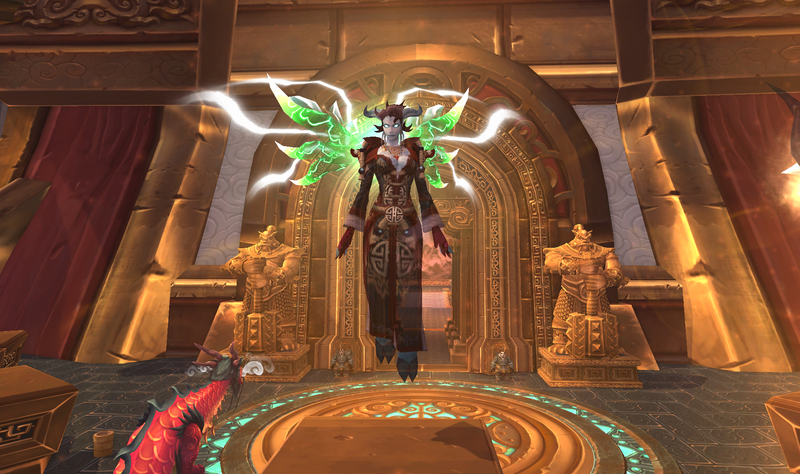 As shown in various screenshots/images. 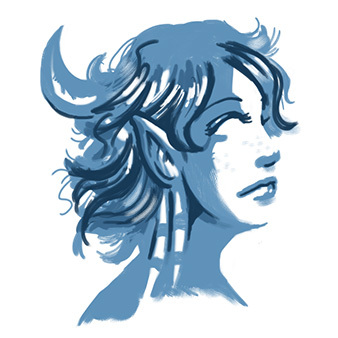 Aqua/cyan skin, prominent curved horns. 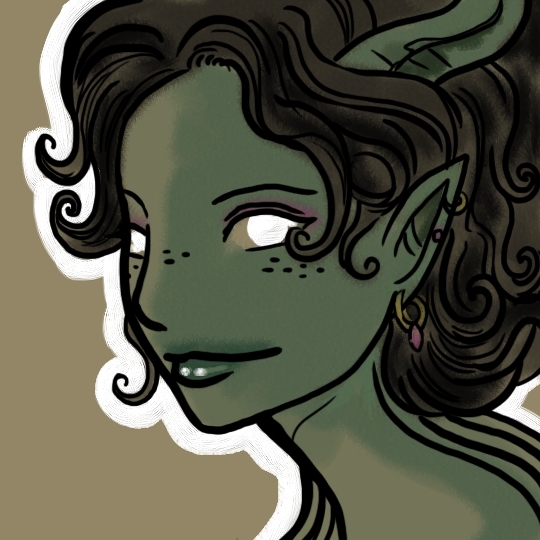 She’s freckled and has short, wildly curly dark hair. 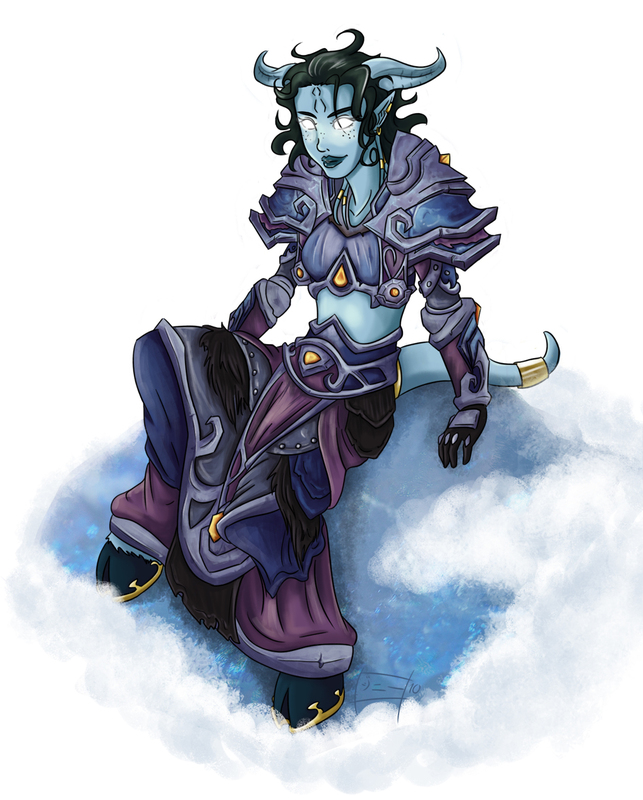 She’s probably a bit chubbier than the average draenei – mages don’t walk ANYWHERE if they don’t have to! 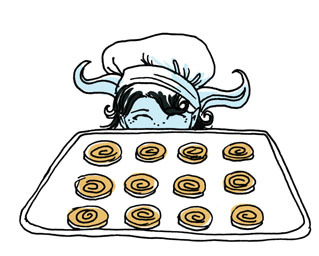 She almost never wears shoes (hooves) although some hoof ornamentation was at least a minor part of special events. 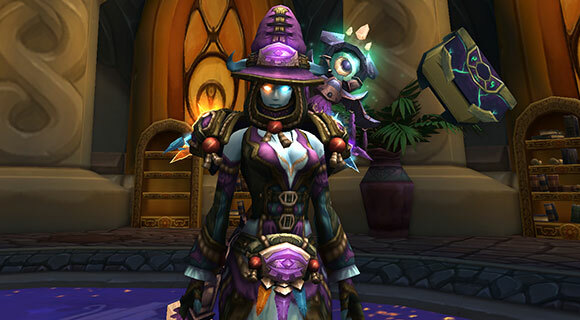 Lately she’s been wearing mostly her challenge mode gear set (shown below). But that’s far from necessary. 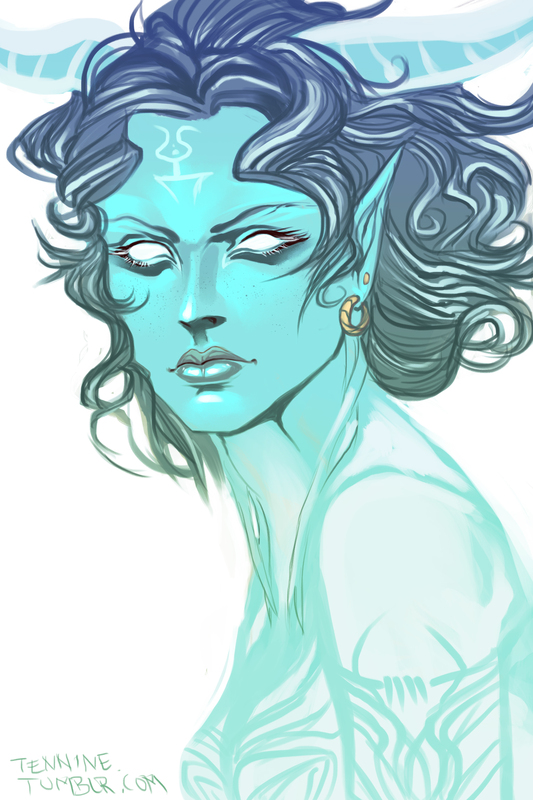 Here are some drawings of Millya (generally plastered all over my blog anyhow, but what the heck).